IBM this week announced its acquisition of Fiberlink. The new move is part of IBM’s mobility strategy as the company positions itself in the BYOD (Bring Your Own Device) market. Mobile devices have changed the world, allowing us to participate in our personal and professional lives from anywhere at anytime. This is a challenge to IT teams and it requires the rolling out of comprehensive BYOD programs in the enterprise. In its place as a vendor, IBM has been working towards removing inhibitors to the uptake of BYOD programs through IBM MobileFirst Solutions. 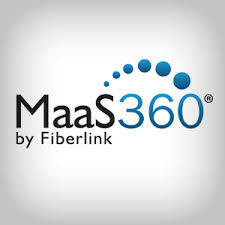 Fiberlink provides cloud-based enterprise mobility management (EMM) through MaaS360, a solution which provides containerization, device and application management for the iOS and Android platforms. It is also the first mobile device management (MDM) platform to support Google Glass. Already the cloud-based solution has received a high acceptance from enterprise clients with 3500 customers from healthcare, banking and manufacturing sectors. Prominent clients include Shell, Vodafone, and MasterCard. MaaS360’s ease of use allows end-users to enroll devices in under five minutes with self service. IBM’s mobile management and security solution, IBM MobileFirst, will now include trusted transactions and security intelligence capabilities for mobile applications, users, content and data. Recent acquistions that play into IBM’s mobile strategy include Emptoris – telecom expense management product, Worklight and UrbanCode – two platforms that provide application development, Trusteer – mobile security product, and Xtify which delivers push notifications. The latest acquisition is a milestone in IBM’s strategy to build the industry’s most comprehensive set of mobile capabilities. IBM believes its mobility management suite will eliminate barriers to adoption and accelerate the productivity of the mobile phone in the enterprise. This affords customers with a flexible environment in which enterprise security and user privacy have a comfortable balance.